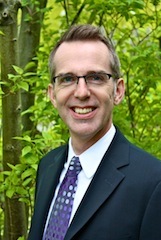 Eric earned his Masters degree in 1996 from the Traditional Acupuncture Institute in Columbia, MD. He is a Diplomate of Acupuncture through the National Certification Commission for Acupuncture and Oriental Medicine. He has been a participant in the Master Apprentice Program™ since 2002 taught by the late Dr. JR Worsley. The Master Apprentice Program™ is a post-graduate training in Classical 5 Element acupuncture. He holds his Apprentice Certificate from Judy Worsley, the current Master-elect of Classical 5 Element acupuncture. Eric has been a member and volunteer in the Worsley Institute since 2003. He is a charter member of the Capitol Hill Chamber of Commerce. And is a member of the Greater Seattle Business Association. Prior to his acupuncture career, he graduated from veterinary school and was a small animal veterinarian. Developed and taught, as required by Maryland state law, 45 hours of a 185 hour certification program in animal acupuncture. Established and carried out all aspects of a low cost clinic for people with HIV and/or AIDS using acupuncture and herbs. PETS-DC is a nonprofit organization dedicated to helping pet-owning people with AIDS or HIV. Responsibilities included: intensive training of all incoming volunteers, acting as Team leader, and handling client needs as necessary. Positions held: Assis. Executive Director, Board of Directors. Copyright © 2015 Eric Hartmann Classical 5 Element Acupuncture. Please read our HIPPA Statement. Web Site Design by HowToStopTime; Joomla CMS by Cube Free Media.